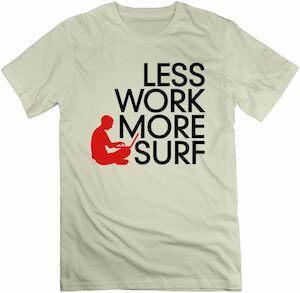 Now you can warn people why your work is not getting done all thanks to this Less Work More Surf T-Shirt. This natural color t-shirt shows a person sitting on the floor playing with the computer and the person is read and next to it you find the text “Less Work More Surf”. A shirt like this is not something you should be wearing to a job interview but is a fun shirt for almost any other occasions even to work to make fun of what you are doing. You can get this fun shirt in men’s sizes Small – 3XL and all are made from 100% cotton for the perfect fit and feel. The classic old computers, great at the time but by todays standards not only are they slow but they have little memory. 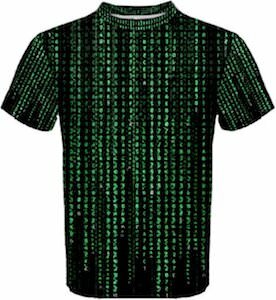 On the front of this t-shirt you will see a cartoon image of an old computer with a keyboard. 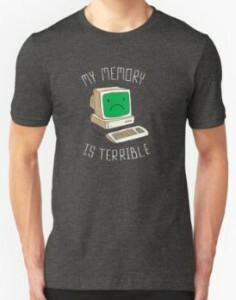 On the computer screen there is a sad face, and above and below the computer and keyboard you see the saying of “My Memory Is Terrible”. Available in a wide variety of unisex fitted sizes that range from Small to 3XL and choose from 18 different fun and unique shirt colors. 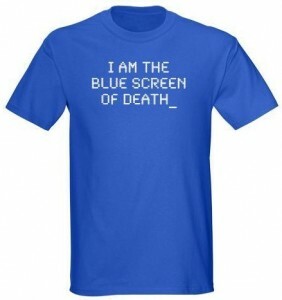 Also do not forget to check out the many types of shirts from tank tops to hoodies to get this fun old computer print on. Are you having trouble with your computer or any electronics? Well here is a simple guideline to help you out. 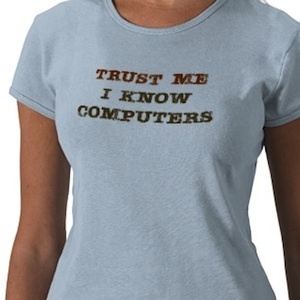 This t-shirt is really funny and features the saying “Have You Tried Turning It Off And On Again”, this is also a popular saying from the hilarious television show IT Crowd. Made from 100% cotton you can get this t-shirt in a wide variety of sizes and choose from 17 different colors, also the classic quote can be printed on the front or back and check out the different styles of shirts and hoodies available. 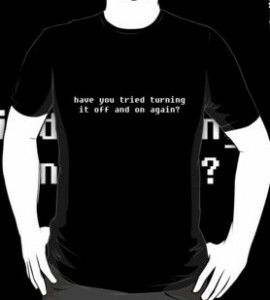 Have a laugh and solve problems with this Have You Tried Turning It Off And On Again T-Shirt.